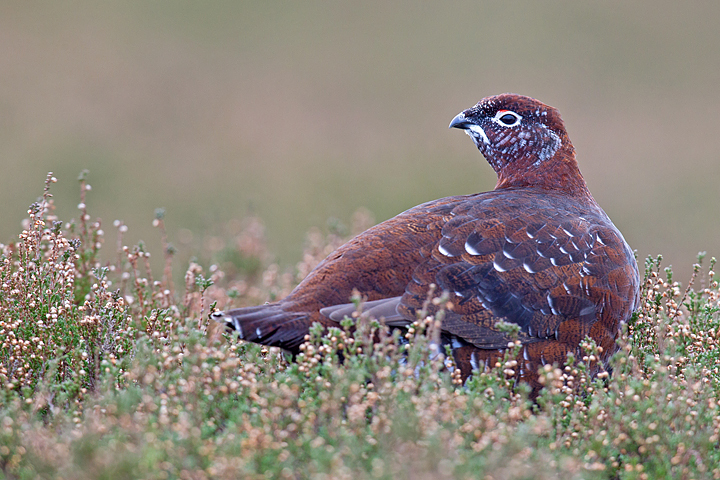 During a trip up to the Lammermuirs in the car last month,me and Ollie came across this rather handsome red grouse feeding on the heather.He had very distinguished looking white markings around his head,throat and across his back.A lot more white than I’ve ever seen on a red grouse before.Maybe he thought the ptarmigan had the right idea and was turning white to blend in with the coming winter snow.Or maybe it’s more common but I just haven’t noticed before. 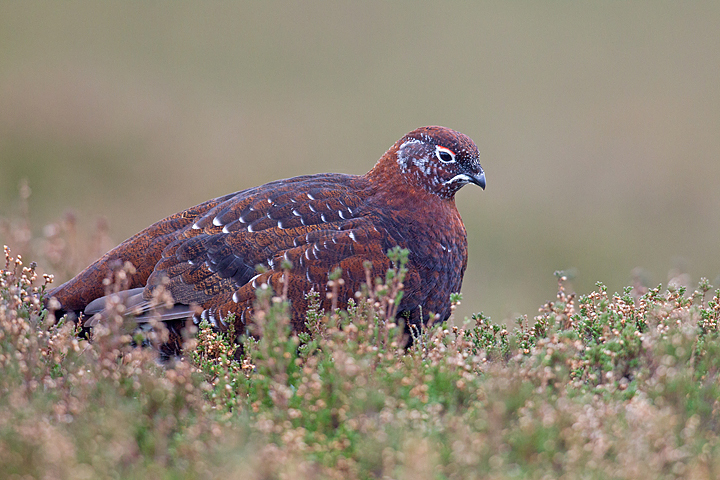 The handsome red grouse with those distinguished white markings. 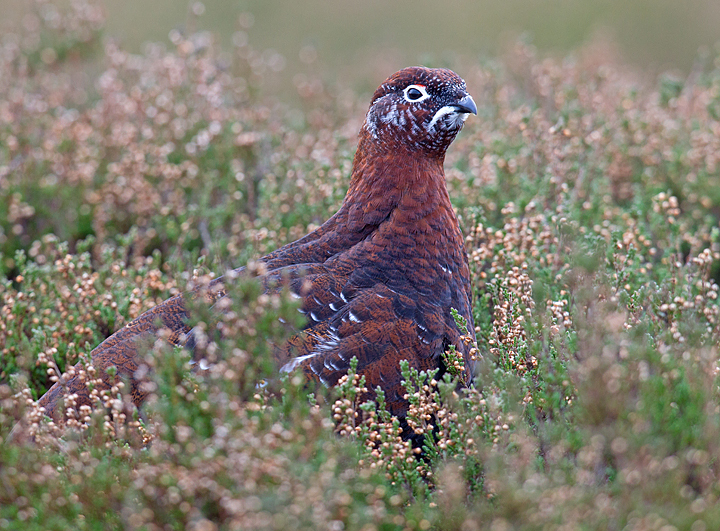 Red Grouse in the heather. 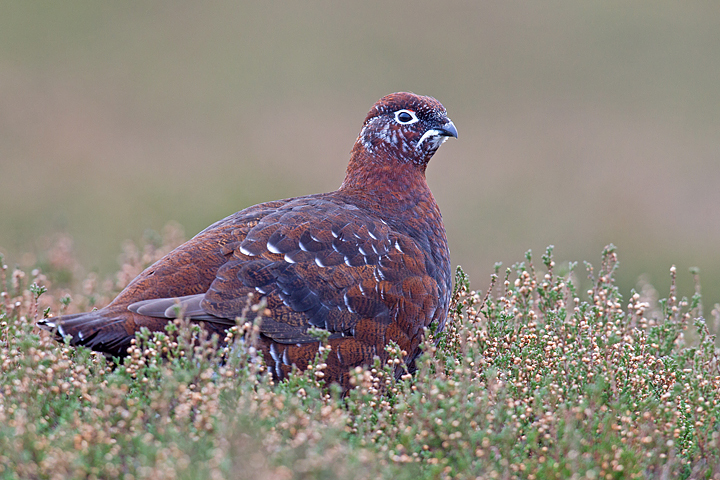 Red Grouse with droopy moustache and goatee beard. 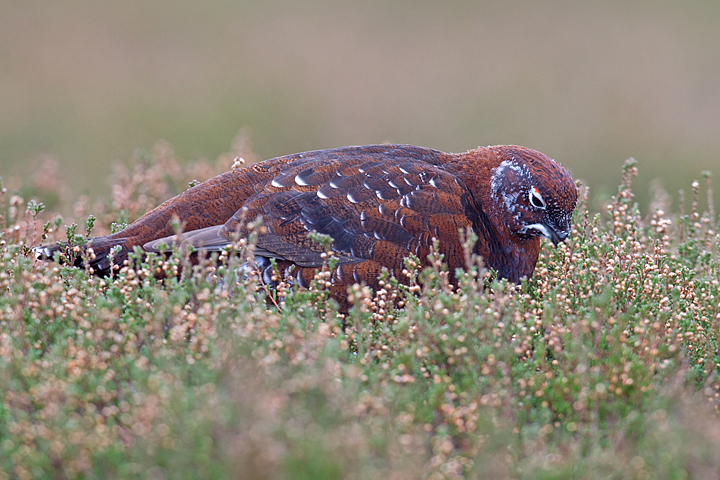 Red Grouse searching out that tasty new shoot. 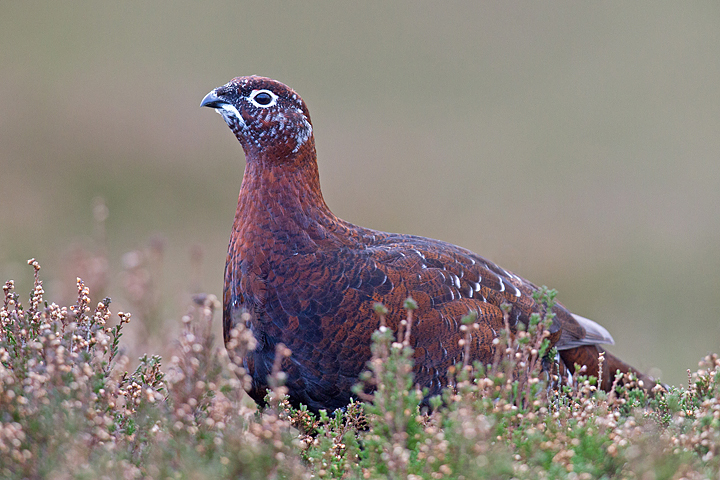 Listening to other grouse calls. 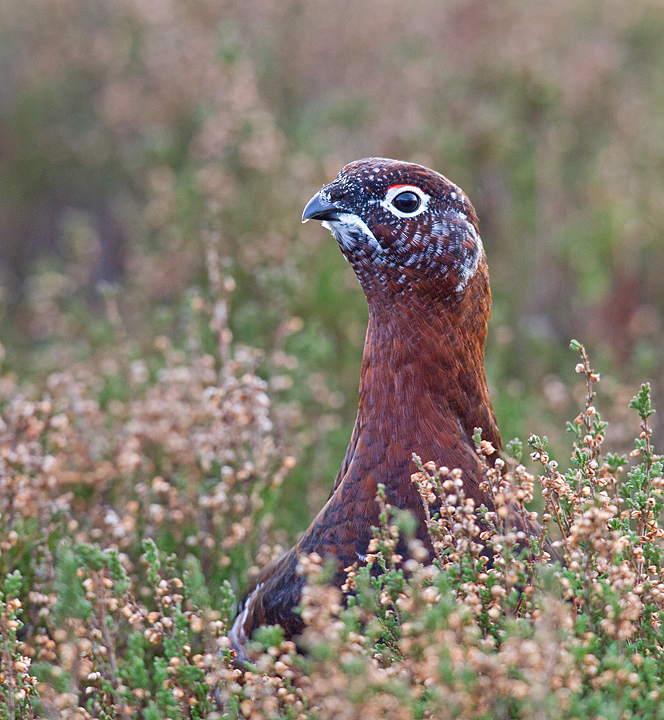 Walking down through the heather towards me. 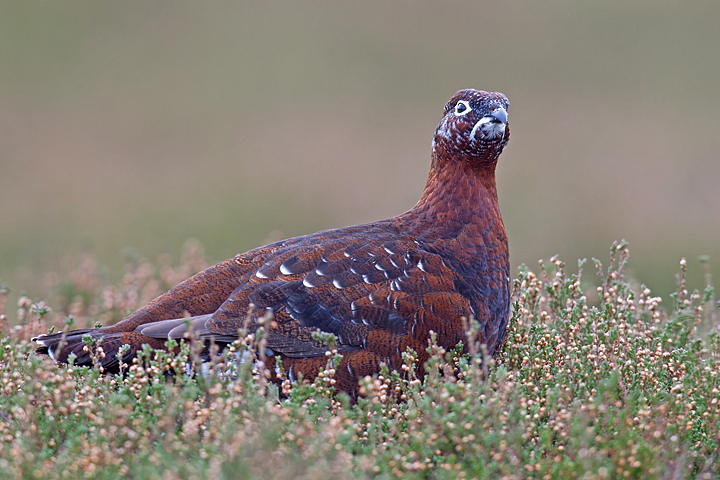 Another red grouse at the end of the day. 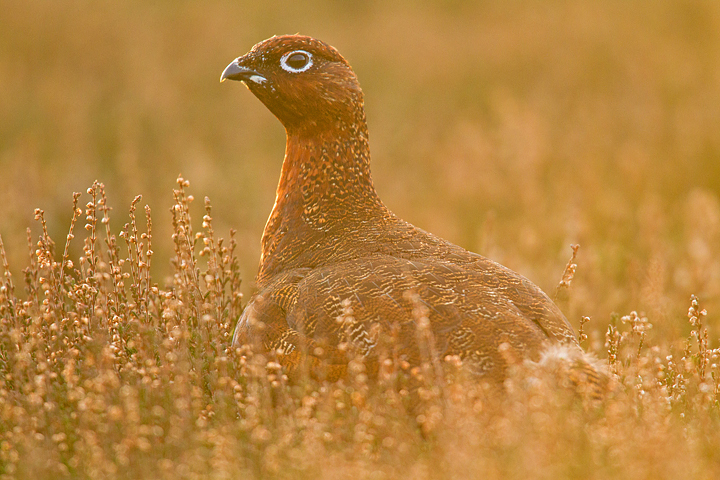 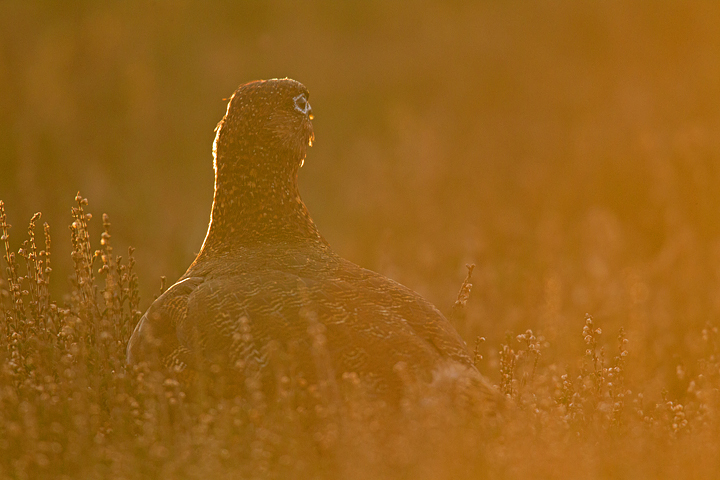 Another red grouse in the late afternoon sun.